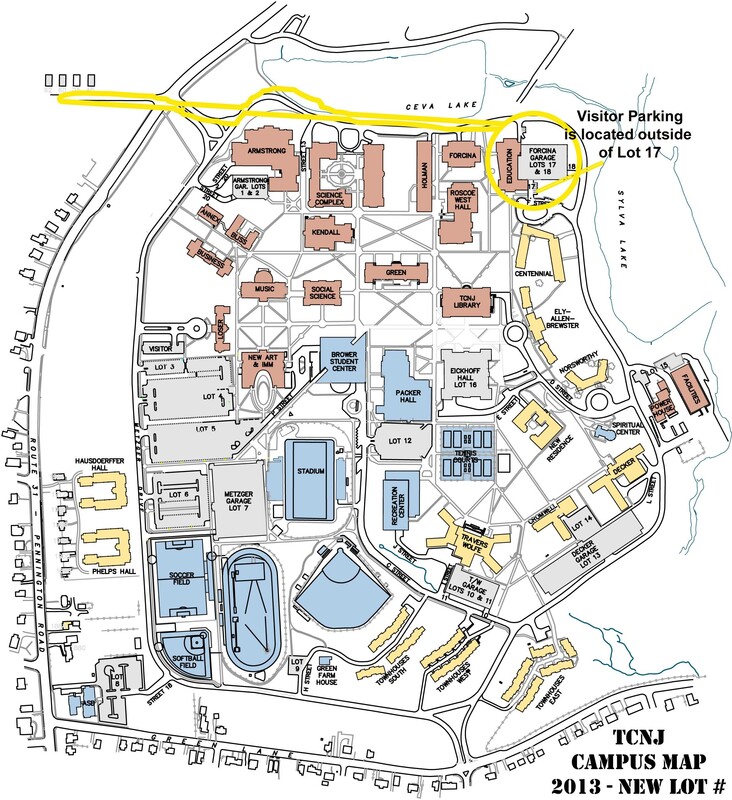 From the College entrance on Pennington Road, make a left onto Metzer Dr., the main loop around campus. The Education Building is situated past the STEM building and Forcina Hall, where Metzer Dr. bears sharply to the right. Visitor parking is located outside of the parking garage’s upper level. 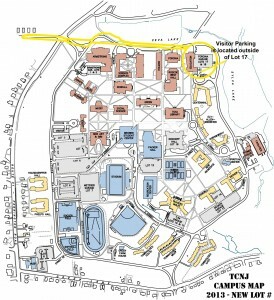 On Metzer Dr., pass the entrance to the faculty/staff parking garage and make the next right. Visitor spots are designated on the right. There are elevators near both entrances to the building. CATIES is located on the 3rd floor in room 310.